DreamGlass boasts a 90-degree field of view with a 2.5K resolution AR display. The headset is equipped with an IR sensor for hand tracking, a 1080p RGB camera, as well as a microphone for audio input. The full package weighs just 240 grams, or less than half the weight of the Meta 2. To achieve a lower price point, Dreamworld has made a few compromises in terms of hardware. 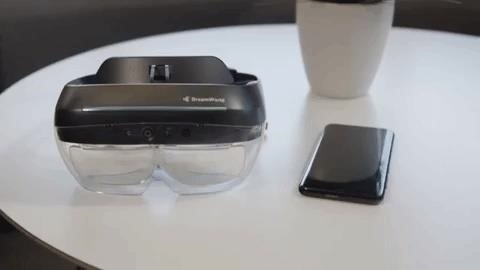 For instance, DreamGlass is a tethered headset, though its ability to connect to PCs or smartphones gives it some flexibility in usage. The headset is capable of hand gesture recognition, but it is limited to three degrees of freedom for head tracking, with six degrees of freedom coming via marker-based AR experiences. "There is so much potential in augmented reality, but the hardware limitations and steep price points of headsets available today have not made it easy for developers to fully contribute to the ecosystem," said Zhong, Dreamworld founder and CEO, in a statement. "Through the DreamGlass, we hope to be the guiding light for all developers, providing them with an accessible top-quality platform to create top quality content. Only then will they be empowered to bring a more genuine realism to augmented reality. We want to close the gap between reality and the augmented digital world." Dreamworld is also launching its Unity-based SDK, which supports AR experiences for Windows and Android. The company notes that the SDK is designed to be user-friendly enough for developers to create a wide breadth of content easily. While neither Meta nor Dreamworld will discuss the terms of the settlement they reached last year, the path has been cleared for DreamGlass to go to market. But based on the end product and the segment Dreamworld is pursuing, we now have hints as to why the lawsuit was settled. Aside from appearance, field of view, and resolution, there are few similarities between the devices. DreamGlass comes at a fraction of the cost and weight of the Meta 2, but it also comes with lesser capabilities and presumably lower processing power considering the device's lower PC requirements compared to the Meta 2. Moreover, Dreamworld, by Zhang's own admission, is going after a different market than Meta, which has positioned its device for the workplace. 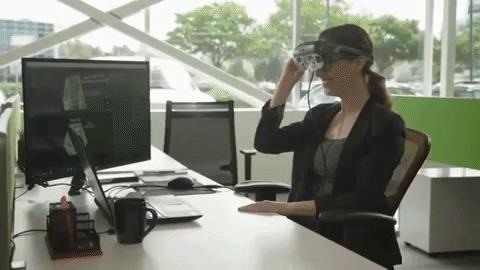 "As stated on Meta's website, Meta's device is meant for PC-based workplace applications and, although it is less expensive than the HoloLens, it is still well out of reach of the ordinary consumer," said Zhang to Next Reality last year in the midst of its legal struggles. 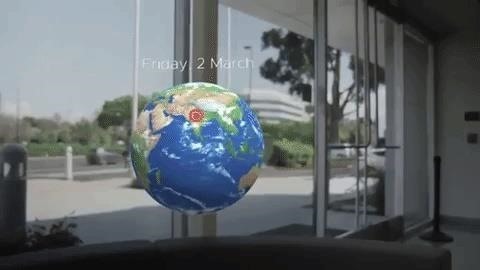 "We at Dreamworld have developed our product, called DreamGlass, based on a wholly different concept — to build a low-priced AR device that is accessible to average consumers for mobile and entertainment applications that can be used 'on the go' or 'in the home.'"